In the past four weeks, the Surfing Federation of Sri Lanka has presented two Coaching and Judging Workshops in Sri Lanka. The workshops focused on the technical development of surfing technique for growing numbers of Surf Club members and their coaches and an insight into the basics of competition judging. The workshops were held in the south of Sri Lanka at Kabalana and in the east at Arugam Bay. Sri Lanka has two distinct surf seasons that on any day of the year produce quality surf conditions and that’s reflected in the rising level of surfing. The participants were not only some of the best surfers in Sri Lanka but also Surf Club and Surfing Federation of Sri Lanka officials. 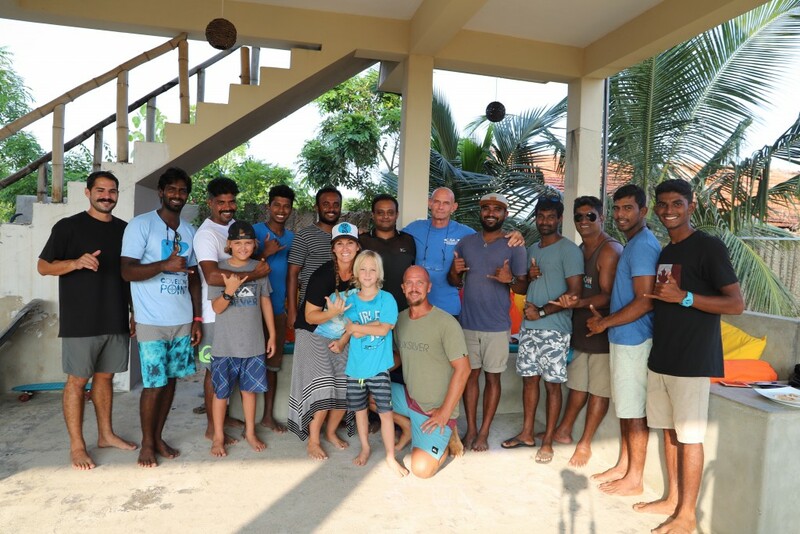 All are ready to pass on their experience and technical knowledge to the growing numbers of Sri Lankan surfers and strengthen the level of club coaching. Many traveled from Colombo, Hikkaduwa, and Yala, quite long distances, to attend the workshops. The workshops gave coaches and surfers technical drills and practices that will be used at club level and the ability to run club competitions on a regular basis. With a strong focus on maneuver analysis and the mechanics of surfing, many questions and ideas were exchanged and everyone felt they benefited from the workshops. The workshops were presented by Tim Jones, an ex-national finalist and ISA Course Presenter for Sri Lanka. He’s coached a number of national champions in Europe right through to WQS surfers and has a great insight to what’s required to pull on that vest, feel the nerves, and still give it your best shot. For further information on joining your local club and finding out more about the Surfing Federation of Sri Lanka please contact Lalaka or Hiran via surf@surfingsrilanka.org and visit and like our Facebook page.